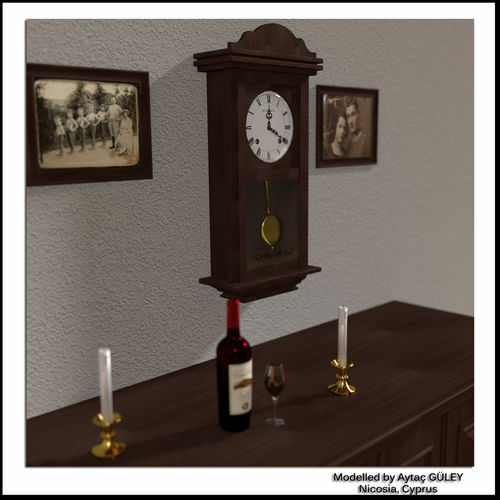 Blender file contains Clock with Pendulum, a Low Poly Cabinet, Candles with Candle Holder, a photo frame, a wine bottle and a glass (All these models are shown on presentation pictures). Polygons and Vertex Number for each model are shown below. On the other hand, doors of cabinet have also been rigged and 90 degree rotation limit constraint (on x-axis 90 degree and for other axis 0 degree limitation has been applied) has been applied to bones.